PICASSO ART CONTEST is an international online art contest which is open for all children of age group 6 to 19 years old. However, some art contests are for 2 to 6 years old too. It was started to motivate artistic and creative minds. The participants are from 63+ countries including USA, UK, INDIA, UAE, MALAYSIA, etc. This website has amazingly attracted art lovers from 129+ countries. For faster speed of website, it is hosted at Atlanta, USA. 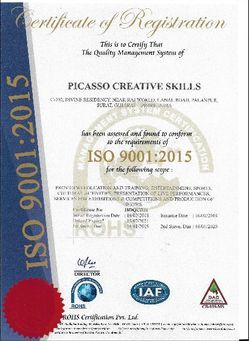 We are delighted to announce that Picasso Creative Skills under which Picasso Art Contest is organized, is now ISO 9001:2015 Certified. A good art competition unlocks and supports the artistic potential of students. 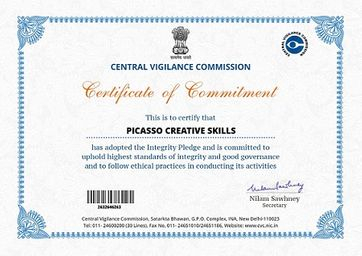 The vision of Picasso Art Contest is to inspire and educate all populations of learners who are artistically gifted to become creative problem solvers and future learners in the world of visual arts. Each one of us is born with some artistic and creative talent that can make us stand apart from rest of the world. To release the hidden, untapped talent within, participate in Picasso Art Contest which opens the world of new possibilities for all. Govt. 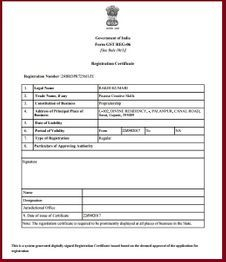 of India registration no.